The other day I got a question from a potential client: "Are you guys aggressive?" I had to chuckle to myself because being aggressive is one of the hallmarks of our representation. How can I explain it? It shows itself differently in different practice areas, but yes, we are very aggressive. And we only take cases that we really believe in - which means that if you're our client, you've got our full support and resources. In workers' compensation, if you're not getting paid or getting the appropriate medical treatment, we will file for a formal hearing and go to court over it. No problem. Any day of the week. In medical malpractice we will build the strongest case possible and go for the fullest recovery we can get under the law. In personal injury and negligence, same. If you've been seriously injured at work in Washington, DC, experienced medical malpractice at a hospital in Washington, DC, Maryland, or Virginia, or been serious injured in an auto accident or due to someone else's negligence in another way in DC, MD, and/or VA give us a call today. It's your life, and you should be represented by experts and veterans in their fields. 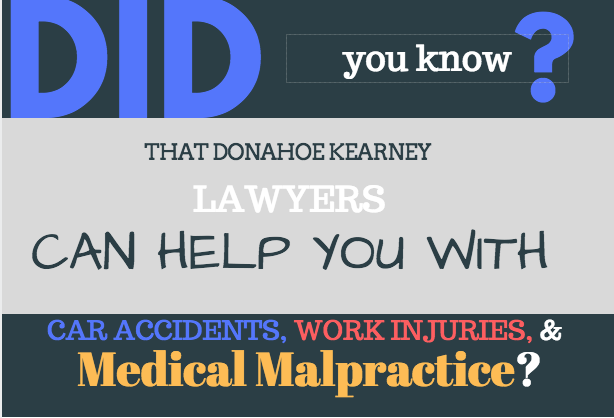 How Do Medical Malpractice Lawyers Get Paid? We hear this question a lot - most people want to know right up front if you're going to be charging them by the hour. In fact they expect it, so sometimes we find that people are wary to accept consultations because they think somehow we are going to charge them for it. A lot of lawyers do - but the reality is that we are not like most lawyers. We would never, ever charge you without telling you about it first. And here's the thing: we don't normally charge an hourly rate for medical malpractice cases. In fact, we don't charge a fee in any serious injury case unless we win or settle your case. Which means that we don't get paid unless you get paid. There is no risk to you, no upfront payment, no retainer. That's simply how it works. It's called a contingency fee. How are we able to do this? Not be paid until the end of your case, and only if we win? There are a lot of factors and reasons why - but it comes down to our experience, our confidence, our expertise with the medicine and most of all, our commitment and desire to help people who have been severely injured. The first stage is: reviewing medical records. We will review your records first to see if you have a case - and remember, that is different than the evaluation of a person. Most of the time we will ask you to send them to us for review via email, US mail, or fax. Or we might ask you to come in and bring them. Or if you don't have them, we arrange to get them for you. The second stage is: full-on investigation. We will have you sign a medical release and we will unleash our own resources in order to investigate your case. That will probably include medical research, consultations with appropriate experts in the field, reviewing medical literature and studies, and working with you to determine what happened and why. We have a system of evaluating everything for you so that you can get answers, information and make the best decisions for you and your family. Part of that analysis is the strengths and weaknesses of a case - and we are very selective with the medical malpractice cases that we take because we want to do everything we can to put you in the best position to get a meaningful recovery. We don't want to put anyone through litigation unless it will make a difference in their lives. The third stage is: filing the case with the appropriate courts. Once we are sure that the medical records support the case and we have experts lined up to testify, we will file the case. From there it is a long haul of discovery, depositions, and other types of litigation documents and processes. We will be leading you every step of the way and prepare you for every meeting. The case will take years to progress but don't worry - we have an excellent track record. And we will keep pushing forward, supporting you every step of the way. And when the case eventually settles or we win the case in court, you will be happy that you put in the long hours and kept with it, even in the face of the uncertainty and the risk. So, no matter what kind of case you have don't worry about it. We will help you figure out if you have a case and if we end up taking your case, we will fight aggressively to win your case. That's just the kind of lawyers we are. If you have been seriously injured in Washington, DC, Maryland at a hospital due to malpractice, due to medical treatment or a misdiagnosis, please call us today at 202-393-3320. You'll speak to a real person today who wants to hear your story. What is brachial plexus? What is Erb's Palsy? Brachial Plexus is a nerve injury that can occur during birth, if there is distress and the head is stretched too far away from the neck. This can result in nerve damage, and can be bad enough to cause a permanent disability in the arm. The problem is, perhaps you didn't know for awhile that the baby even had brachial plexus, and the doctor's never connected it to a birth injury. Why would they? It's their neck on the line, so to speak. The brachial plexus nerves are located underneath the clavicle and are a network of nerves that control sensing and motion communications between the brain and the arm. The network of nerves is connected to your spinal chord. Your child may have brachial plexus if he or she is unable to move one of their arms, or seems to have a lack of sensitivity to that area. Brachial plexus is also called "Erb's Palsy" when the upper area is affected. The disability brought about during a brachial plexus injury varies from case to case, but in case of an avulsion (when the nerve is torn away from the spinal chord) or a rupture (a tear in the nerves) the injury is far more serious and may require years of physical and occupational therapy to help the injury itself and help the child to learn to compensate for the injury. Not all difficult deliveries can be prevented, but in the case of an unnecessarily prolonged birth, or a poorly-handled breech presentation, or other types of traumatic births, your physician or hospital/provider may be held responsible for your child's birth injuries and special needs. Your child may require ongoing medical treatment and physical/occupational therapy, psychological services, and eventually may need to account for lost wages if the injuries prevent them from working and the cost of care after they are grown. Children with serious Erb's Palsy can learn to be independent, but they need special resources to get to that point. 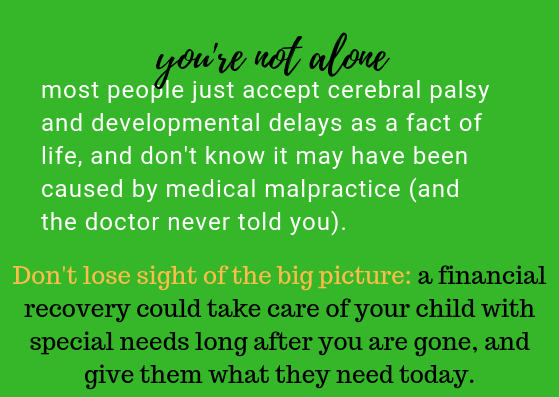 Does your child have signs of Erb's Palsy, or did you have a difficult delivery and now your child is showing developmental delays? Don't hesitate to call us today at 202-393-3320. You only have so much time to file a lawsuit, and cases get harder to prove the more years that go by-- medical records get destroyed, details get forgotten and before you know it you've cost your child their financial recovery that can help them to live a normal life. Don't delay. Call us today - there is absolutely no cost to have your case evaluated, and we will be very upfront with you on whether or not you have a case. We promise not to string you along, or bill you by the hour. If you don't make a recovery, we don't make a recovery. That's why we only take the cases we think we can win and make a substantial recovery for you and your family. 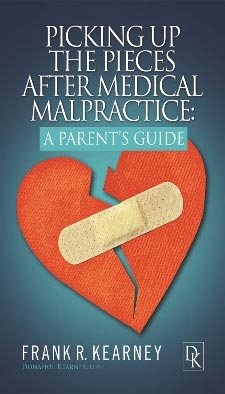 Want more information on children and medical malpractice claims? We have a book for that! Two, in fact. 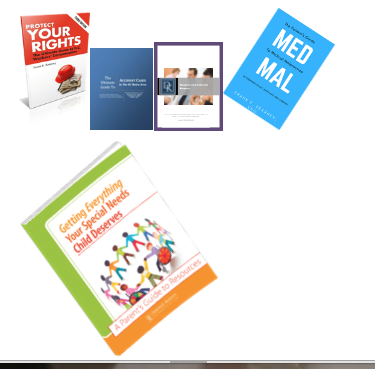 "Picking up the Pieces" will give you the A-Z on children's medical malpractice claims, and the "Special Needs Resource Guide" gives lots of practical tips and resources for children with special needs. Order your free copies today by clicking on the links, or the titles below. Want to hear a great story about one of "our kids" we helped after a significant childhood injury? Click here to read about Calvin. Should I consider suing the hospital for my child's cerebral palsy? Suing a hospital for your child's cerebral palsy - how to get started. Deciding whether or not to have your child's case investigated is an important decision. Truly, I can’t imagine what your situation is like at this point. But I do know I’m glad you have connected with us. It's our personal promise to anyone that has a child with a serious birth injury or a mother who has been through birth trauma and their child has developmental delays or cerebral palsy as a result -- we won't share your information. We won't try to convince you that you have a case if you don't really have one. And we will never insinuate that you child is anything but perfect. We know they are perfect - just the way they are. We also know that the lifetime costs of caring for a child with cerebral palsy can cost tens of millions of dollars. If you fill out the contact form on this page and/or order one of our free books, guides, or reports we will stay in touch with you to see how you are doing - whether or not you have your case investigated. I’ll tell you why we do that: when we see someone in this situation we can genuinely help, we want to make sure that person feels cared for before they ever become a client, whether or not they eventually become a client. That’s why we check in regularly and send you additional information. Of course, whenever you’re ready to chat, I would love to schedule an appointment for the two of us. Until then, we’ll remain in touch just to make sure you’re at least getting answers to the complex questions facing you right now. You can also reach me at 202-393-3320 -- You can ask for me, Brooke Birkey directly and I will take your call, no matter when you call. We have make a really big impact on the lives of children who have bee affected by medical malpractice. 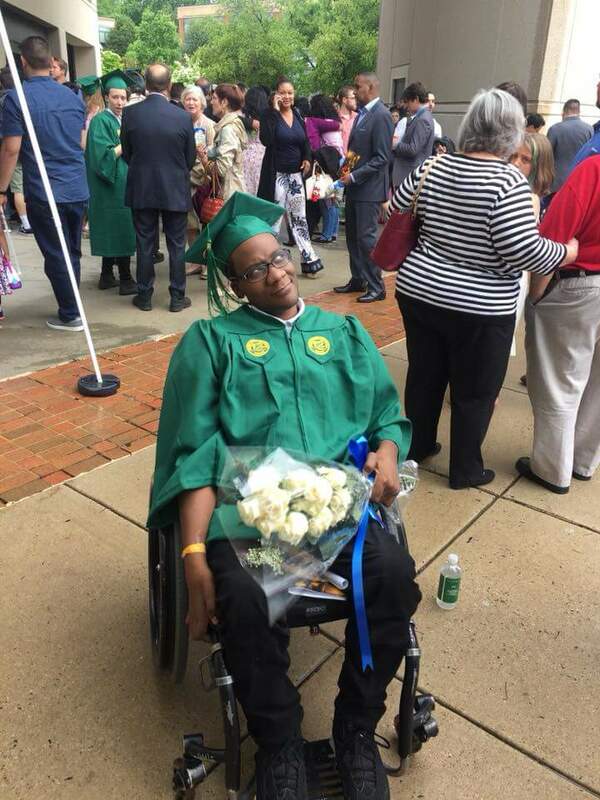 My son has cerebral palsy. What Do I Do Now? Most people don't know where to start when it comes to investigating a medical malpractice claim. Liability may seem clear or obvious, but you don't know the statutes or the process, or what your case may be worth. 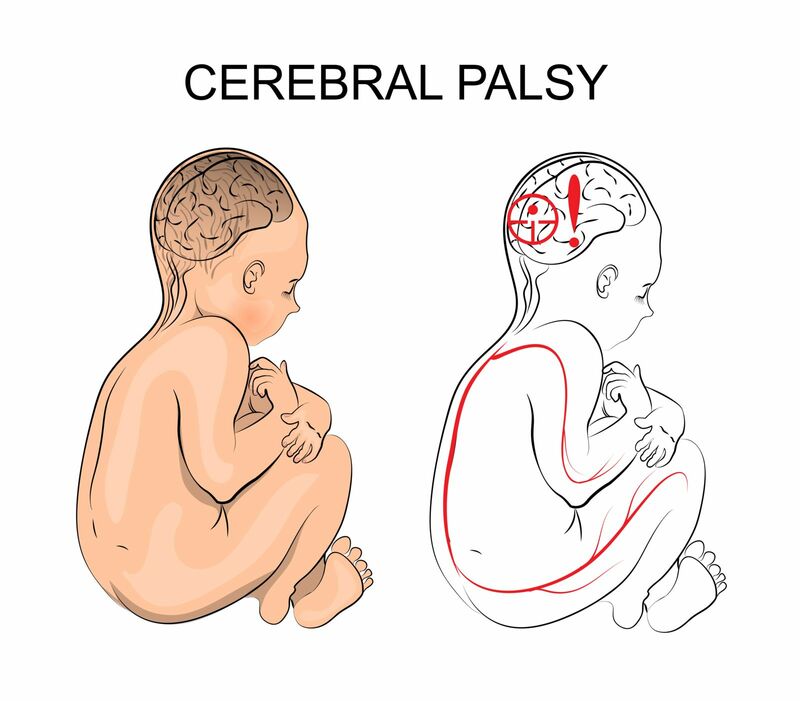 If you have a child with Cerebral Palsy, you have a lot to think about. THE FIRST THING that we always do with a potential medical malpractice claim is RESEARCH. We have a specific system we've developed that we customize for every family. 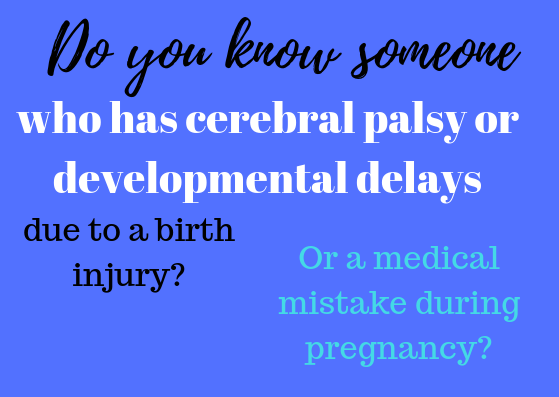 This is in addition to ordering a full copy of the medical records associated with your child's (or niece/nephew/cousin) birth because the primary cause of Cerebral Palsy is asphyxia (which means, the child's brain went too long without getting proper oxygen). This may be due to a delayed Cesarean birth, to acceleration or deceleration of the baby's heartbeat (fetal distress), preeclampsia (maternal distress) and other types of medical mistakes that happen as a result of violating Patient Safety Rules. Once violations of the patient safety rules, or the standards of care a patient should get, are established by the medical experts we work with to analyze your case, we wait for the appropriate time to file the lawsuit, with the statute of limitations in mind. This depends on your child's specific injury and whether that requires waiting so we can accurately assess whether the child is hitting developmental milestones and benchmarks. Most of the time, we will have your child examined by an independent physician to help determine the extent of his harms. A lot of what needs to be done will depend on how developmentally delayed the child might be and how much care he or she will require over the course of their lifetime. We are different than a lot of other firms because we wait to see the whole picture before we file the lawsuit. And we will be with you, the parents, aunts, uncles, and other family members throughout the whole process. 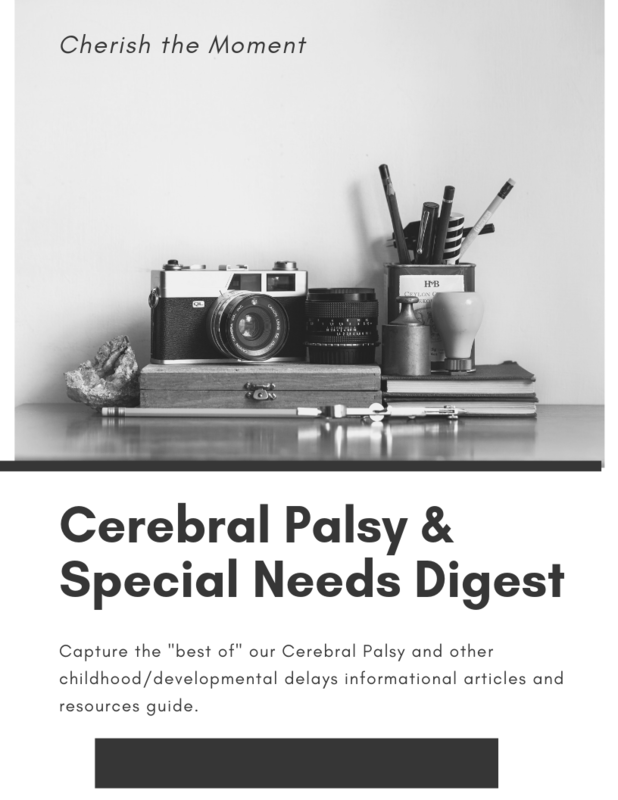 Is there a child in your life who has Cerebral Palsy or other types of developmental delays, and you are wondering what the next steps might be? The good news is, if we take your case, you don't have to worry about the next steps because we are taking care of it. And you don't have to worry about whether or not you can afford us, because we don't take a fee unless we make a recovery for you. Call us today at 202-393-3320 to get started with a no-risk, no obligation free consultation.